^ Gil 1997，第410, 411 note 61页. 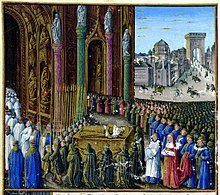 ^ The First Crusade is extensively documented in primary and secondary sources. See for example Thomas Asbridge, The First Crusade: A New History （Oxford: 2004）; Christopher Tyerman, God's War: A New History of the Crusades （Penguin: 2006）; Jonathan Riley-Smith, The First Crusade and the Idea of Crusading （Pennsylvania: 1991）; and the lively but outdated Steven Runciman, A History of the Crusades: Volume 1, The First Crusade and the Foundation of the Kingdom of Jerusalem (Cambridge: 1953). ^ Riley-Smith （1979）, "The Title of Godfrey of Bouillon", Bulletin of the Institute of Historical Research 52, pp. 83–86. ^ Murray, Alan V. （1990）, "The Title of Godfrey of Bouillon as Ruler of Jerusalem", Collegium Medievale 3, pp. 163–178. ^ Thomas Madden, The New Concise History of the Crusades （Rowman and Littlefield, 2005）, pp. 40–43. ^ Jonathan Phillips, The Second Crusade: Extending the Frontiers of Christendom （Yale University Press, 2007）, pp. 216–227. ^ Marshall W. Baldwin, "The Decline and Fall of Jerusalem, 1174–1189", in A History of the Crusades （gen. ed. Kenneth M. Setton）, vol. 1: The First Hundred Years （ed. Marshall W. Baldwin, University of Wisconsin Press, 1969）, pg. 592ff. ^ Steven Runciman（英语：Steven Runciman）, A History of the Crusades, vol. 2: The Kingdom of Jerusalem and the Frankish East （Cambridge University Press, 1952）, pg. 404. ^ Hans E. Mayer（英语：Hans E. Mayer）, The Crusades （trans. John Gillingham（英语：John Gillingham）, 1972; 2nd ed., Oxford University Press, 1988）, pp. 127–128. ^ Peter W. Edbury, "Propaganda and faction in the Kingdom of Jerusalem: the background to Hattin", in Crusaders and Moslems in Twelfth-Century Syria （ed. Maya Shatzmiller, Leiden: Brill, 1993）, pg. 174. ^ Hamilton, pp. 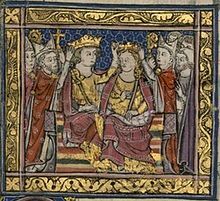 162–163; Edbury and Rowe, "William of Tyre and the Patriarchal election of 1180", The English Historical Review（英语：The English Historical Review） 93 （1978）, repr. Kingdoms of the Crusaders: From Jerusalem to Cyprus （Aldershot: Ashgate, Variorum Collected Series Studies, 1999）, pp. 23–25. 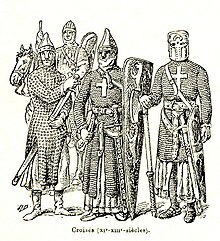 ^ Peter W. Edbury, The Kingdom of Cyprus and the Crusades, 1191-1374 （Cambridge: Cambridge University Press, 1991）, pp. 4-5. ^ Riley-Smith, The Crusades: A History （2nd ed., Yale University Press, 2005）, pp. 146-147. ^ Jean Richard, The Crusades, c. 1071-c. 1291, trans. Jean Birell （Cambridge University Press, 1999）, pp. 240-241. ^ James M. Powell, Anatomy of a Crusade: 1213-1221 （University of Pennsylvania Press, 1986）, pp. 128-135. ^ Thomas C. Van Cleve, "The Fifth Crusade", in A History of the Crusades （gen. ed. Kenneth M. Setton）, vol. 2: The Later Crusades, 1189-1311 （ed. R.L. Wolff and H.W. Hazard, University of Wisconsin Press, 1969）, pp. 394-395. 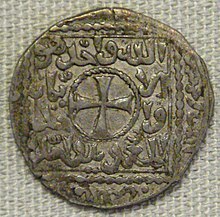 ^ 72.0 72.1 Edbury, Kingdom of Cyprus and the Crusades, pp. 57-64. ^ 75.0 75.1 Tyerman, God's War, pp. 725-726. ^ Michael Lower, The Barons' Crusade: A Call to Arms and its Consequences （University of Pennsylvania Press, 2005）, pp. 159-177. ^ Fulcher of Chartres, A History of the Expedition to Jerusalem, trans. Frances Rita Ryan, University of Tennessee Press, 1969, bk. III, ch. XXXVII.3. pg. 271 （available online）. ^ Many chronicles of individual pilgrims are collected together in the Palestine Pilgrims' Text Society （London, 1884–）; "Recueil de voyages et mémoires", published by the Société de Géographie （Paris, 1824–66）; "Recueil de voyages et de documents pour servir à la géographie" （Paris, 1890–）. ^ Ronnie Ellenblum, Frankish Rural Settlement in the Latin Kingdom of Jerusalem （Cambridge University Press, 1998）, pp. 3–4, 10–11. ^ Joshua Prawer, The Crusaders' Kingdom: European Colonialism in the Middle Ages （Praeger, 1972）, pg. 60; pp. 469–470; and throughout. ^ Hans Mayer, "Latins, Muslims, and Greeks in the Latin Kingdom of Jerusalem", History 63 （1978）, pg. 175; reprinted in Probleme des lateinischen Königreichs Jerusalem （Variorum, 1983）. ^ Mayer calls them "chattels of the state"; Hans Mayer, "Latins, Muslims, and Greeks in the Latin Kingdom of Jerusalem", History 63 （1978）, pg. 177; reprinted in Probleme des lateinischen Königreichs Jerusalem （Variorum, 1983）. ^ Prawer, Crusader Institutions, pg. 207; Jonathan Riley-Smith, "Some lesser officials in Latin Syria" （English Historical Review, vol. 87, no. 342 （Jan., 1972））, pp. 1–15. ^ Tyerman, God’s War, pg 230. ^ Tyerman, God’s War, pg 231. ^ Tyerman, God’s War, pg 234. ^ 106.0 106.1 Tyerman, God’s War, pg 235. ^ Tyerman, God’s War, pg 237-8. ^ Michaud, The History of the Crusades, Vol. 3, p. 18 ; available in full at Google Books. Note that in a footnote Michaud claims reliance on "the chronicle of Ibn Ferat" （Michaud, Vol.3, p.22） for much of the information he has concerning the Mussulmans. ^ Hans E. Mayer, "Guillaume de Tyr à l'école", in Kings and Lords in the Latin Kingdom of Jerusalem （Variorum, 1994）, pg. V.264; originally published in Mémoires de l'Académie des sciences, arts et belles-lettres de Dijon 117 （1985–86）. 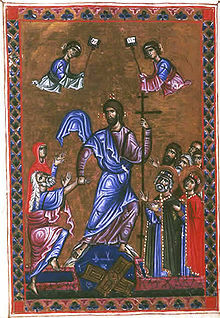 ^ Note the famous example of William of Tyre, Willemi Tyrensis Archiepiscopi Chronicon, ed. R. B. C. Huygens, Corpus Christianorum, Continuatio Medievalis, vol. 38 （Turnhout: Brepols, 1986）, bk. 19, ch. 12, pp. 879–881. This chapter was discovered after the publication of Babcock and Krey's translation and is not included in the English edition. ^ Benjamin Z. Kedar, On the origins of the earliest laws of Frankish Jerusalem: The canons of the Council of Nablus, 1120 （Speculum 74, 1999）, pp. 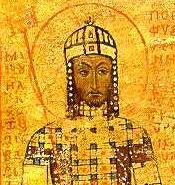 330–331; Marwan Nader, Burgesses and Burgess Law in the Latin Kingdoms of Jerusalem and Cyprus’’ （1099–1325） （Ashgate: 2006）, pg. 45. ^ House of Names 互联网档案馆的存檔，存档日期2012-03-19.. Symbolism: Cross Potent. Accessed 22 July 2009. Philip K. Hitti, trans., An Arab-Syrian Gentleman and Warrior in the Period of the Crusades; Memoirs of Usamah ibn-Munqidh （Kitab al i'tibar）. New York, 1929. Carole Hillenbrand（英语：Carole Hillenbrand）, The Crusades: Islamic Perspectives. Routledge, 2000. Pernoud, Régine（英语：Régine Pernoud）, The Crusaders: The Struggle for the Holy Land. Ignatius Press, 2003. Joshua Prawer（英语：Joshua Prawer）, The Latin Kingdom of Jerusalem: European Colonialism in the Middle Ages. London, 1972. Joshua Prawer（英语：Joshua Prawer）, Crusader Institutions. Oxford University Press, 1980. Jonathan Riley-Smith（英语：Jonathan Riley-Smith）, The Feudal Nobility and the Kingdom of Jerusalem, 1174–1277. The Macmillan Press, 1973. Kenneth Setton（英语：Kenneth Setton）, ed., A History of the Crusades. Madison, 1969–1989 （available online）.